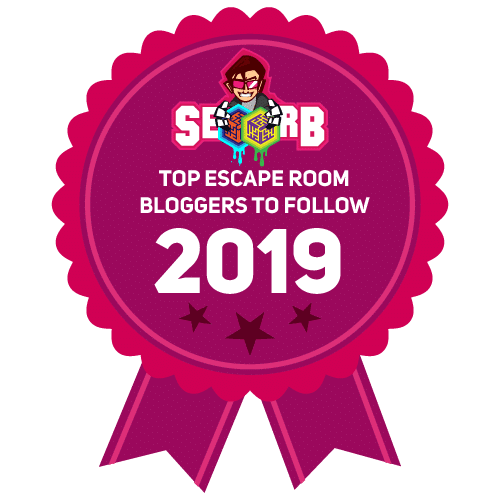 We scoured the web and consulted over 308 sites to curate this hand picked list of the best Escape Room Bloggers who are working hard to create content and educate and inspire more people to get involved in our industry. We didn’t stop at just names and web addresses. 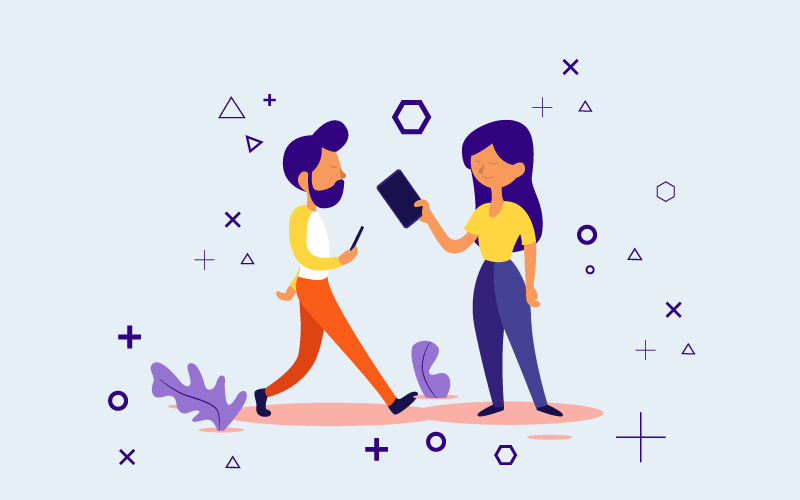 We also included the various features of each site to give escape room enthusiasts an idea of their best work, where they have been featured, links to their social media and a summary of what you can learn from them. A big shoutout to Errol Elumir from Codex.ca for permitting us to take inspiration from his list of Escape Room Bloggers. Click here to embed this Badge in your site. William and Yuan got hooked on escape rooms way back in 2013. The blog was founded in 2016. Together they’ve finished 230+ escape rooms. They concentrate on the West Coast but they do travel and check out rooms elsewhere occasionally. Where Have They Reviewed Escape Rooms? Apart from their West Coast base, they’ve covered rooms in London, Paris, Hong Kong and Guangzhou (China’s third largest city). Where Have They Been Featured? David and Lisa Spira started their escape room portfolio in 2013. Till now they’ve finished more than 450 escape rooms. A mass escape event in June 2014 that didn’t go so well inspired them to blog about escape rooms so people can make an informed choice about which room to select. Apart from reviewing rooms all over the United States, they’ve also reviewed some rooms in London, Amsterdam, Germany and Australia. Started in Toronto. Now has spread across Los Angeles, New York, Kansas City, Denver and Chicago. What started off as a Toronto-based group of escape enthusiasts has since spread across the United States. And it’s a diverse group of reviewers, ranging from a chef’s assistant to a mechanical engineer. All over the United States. And overseas in Vancouver, Berlin, Hong Kong, Bali and finally, Adelaide, Sidney and Brisbane. The United States, possibly Orlando, Florida. Founded by Chris (attraction designer) and Ben (programming and stuff) around May 2016, Escape Authority was formed to give escape room players an idea of which rooms are hot and which are not. Their entire philosophy is that they are fans of escape rooms helping other fans select which rooms to making bookings at. Ken (Ferguson, the guy who runs the blog) has been interested in theatrics (particularly immersive theatre – theatre that involves the audience) for long. His first escape room was at clueQuest. He was hooked immediately. The blog is his effort to give fellow enthusiasts an idea of what they can expect in various escape rooms and allied entertainment venues. Most of the escape rooms they’ve reviewed are in London. But they’ve also ventured out into other UK cities and even elsewhere into Europe – cities like Amsterdam, Brussels, Prague and Warsaw. Most of the rooms they’ve reviewed are in Barcelona and other locations in Spain. However they’ve also reviewed rooms in other European locations like London, Amsterdam and even one in Mexico City. The website was started by Chris Dickson, a puzzles geek and presumably energy trader in 2014, aimed at being a complete guide to all puzzle-type entertainment in the UK and Ireland. In June 2016 control was transferred to Ken Ferguson, seemingly the Ken of The Logic Escapes Me. This is more a compendium than a direct blog site. Since using an escape room gift certificate that was a birthday present, she/he has been bitten by the ‘Escapemaniacum’ virus. And ever since then she/he has been sharing these experience with others. Lists of some of the best escape rooms in 5 cities – Paris, Lyons, Marseille, Berlin and Lille. Most are in Paris or elsewhere in France. However they have ventured to other prominent European locations like Berlin, Prague and Stockholm. Errol is an escape room enthusiast who lives in Toronto. Apart from escape rooms he used to play in a band and creates comic strips. There’s 4 of them – Sean (number cruncher), Lindie (visual and word puzzles aficionado), Dan Casey (coloring and thinking out of the box) and Melissa (spots what I think are red herrings). The first two are part of the Jacksonville team while the latter two are part of the Orlando team. The story and game type are outlined and the immersion, game flow, puzzles and game master are critiqued. A blog with interesting content like interviews, ‘tips and tricks’ and so on. There are two of them – Jason and Mike – who moved from New York and Pennsylvania respectively to Virginia. Jason has been a gamer for a long time, starting out with VR games at Disneyland, Orlando, and rapidly progressing up to escape rooms. Mike is a Certified Scrum Master, teaches a graduate level class at George Washington University, and is addicted to escape rooms. A group of 4 escape room lovers – Ster, Ni, Simon and Stu – blogging about their conquests. They started the blog after the 32nd escape and have been blogging ever since. They mostly visit rooms in southern England but occasionally travel elsewhere. Chris and Julie J. describe themselves as a husband and wife team with an Escape Room problem. As per Twitter, the couple have done 76 rooms across 9 states and attained an 81.6% success rate (as of 7.9.18). They prefer escape rooms that can work with them on scheduling escapes. Finally, they like the staff to be friendly and prefer puzzles that are self-contained and without any arbitrary features. There is no contact form as such; this site is aimed mainly at players and not rooms. However you can try to get in touch with them via social media. He’s a client experience director at ONTRAPORT. She’s a fundraiser for the SBCC Foundation. Their aim in creating Escape Base is to have a very granular and searchable database of escape rooms. It is stressed on the website that individual rooms must be reviewed, not a business as a whole. Reviews are supposed to be written by players with at least 5 rooms under their belt. Each room is graded separately on the quality of the puzzles and on the theme. And each room is given an overall rating. There are short written reviews from players about most of the rooms as well. The bulk of their listings are from California. However some rooms from other states like Florida, Illinois, Ohio, Oregon, Tennessee and Wyoming do feature in their listings too. Finally, some rooms from Ontario, Canada have made it onto their listings as well! Amanda and Eva have liked games like Scrabble, crosswords and Zork as long as they’ve been friends – since they were children. The website is their attempt at spreading their love for puzzles and games. It’s three Scottish lads – Andrew, Jamie and Ross – that started this review site on the 27th of February this year (2018). They started visiting escape rooms in 2017, liked what they saw, and now they’re writing about it. Most of the rooms they’ve reviewed are in Glasgow and Edinburgh. Apart from that they’ve reviewed one room in Aberdeen, one in Belfast and a few in Newcastle. As per Escape The Review’s listings, Escape The Grid is one of just two escape room blogs based in Scotland. Their scoring system, based on 4 factors – theme, puzzles, enjoyment and value – is clearly laid out in each review. Rooms can be searched on the basis of area, company and score. They blog about escape rooms, video games and so on. A few rooms in Zurich, Switzerland, and one in Japan have also been reviewed. This blog is her attempt to help readers make an informed decision as to which escape room to choose. She’s mentioned the site Esc Room Addict as an inspiration for creating this blog. She has clearly explained her rating system – she rates rooms on 3 heads – aesthetics, experience and puzzle design. They review escape rooms in and around Yorkshire in the United Kingdom. Mostly (9) in Birmingham, followed by 4 each in London and Manchester and in various other places all over England. They’ve also reviewed one room in Edinburgh, Scotland. They’re a group of friends (in particular Chris and George) who tried out an escape room for the first time in June 2016 and have since become addicted to escape rooms. The review team consists of Toby, Sam, Lewis, Pris, Eda and Chris. Karen chips in sometimes as well. Outside the UK they’ve reviewed rooms in locations as diverse as Lille (France), Ghent (Belgium), Athens (Greece), Sofia (Bulgaria), Bucharest (Romania) and Porto in Portugal. Outside the EU they’ve reviewed a number of rooms in the United States. Dave is in his late twenties and a graduate of Algonquin College’s ‘Game Development’ program. He’s been interested in escape rooms for some time and tries to do at least one room every month. Note however this blog hasn’t been updated in over a year. Amy Duggan and her fiancé Ian White are the ones behind this blog. Amy started out with escape rooms in August 2015 and hasn’t looked back since. She enjoys the adrenalin rush and the positive reinforcement of solving puzzles. They mostly play as a pair but do on occasion be part of a larger team. Sam and Jamie are a mother-son duo that enjoys escaping. As of September 2018, they have done 200 games with a success rate of 85%. Scott M and his team (which of late has included his pre-teen daughters) check out escape rooms around Australia and also globally and review them to help others get the best value for their money. It’s professional writer Dean Love who’s behind this blog that reviews mostly escape games in the United Kingdom. Bonus material like interviews, escape-focused travel guides and so on. There’s even an escapees’ agony uncle space! But they have covered many other locations across England as well; they’ve also ventured into Edinburgh. You may have heard of Christine Barger, actress and ventriloquist. Turns out she’s a fan of escape rooms and haunts as well! Across 15 out of the 50 states. Most of the rooms, however, are in California. The blogger describes herself as a ‘forty-something Lancastrian lass living in the central belt of Scotland’. Among her hobbies (apart of course from escape rooms) is geocaching – a kind of treasure hunt. This is more of a listing blog than a review blog. Their Facebook and Twitter pages are incredibly active and both feature escape room-related news, with a focus on those in Scotland. As far as news is concerned however, from all over the UK. Edinburgh, Falkirk, Manchester, London and on and on. Their purpose is to develop connections between escape rooms and players while improving player experience. Most of the rooms they’ve reviewed are in the United States. New York, Pennsylvania and California account for most of the rooms within the USA. Apart from that they’ve reviewed rooms in Tennessee, Ohio, Florida, New Hampshire, Massachusetts, New Jersey, Rhode Island, Connecticut, Oregon, Delaware and Louisiana. One room in the UK in Macclesfield. The Asbury Park, NJ area. Add a mathematics wiz, a mechanical engineer, an IT guy and a digital marketer and you get Lock Chix. Only the first two are actual chicks, however (Rae and Katie); the latter two (Benji and Devon) aren’t. Hannah likes travelling, learning languages and feeding squirrels. Matt likes video gaming, watching cricket and eating too much chocolate. And they both like checking out escape rooms with friends. A couple of nerds who love puzzles and escape rooms and want to share their experiences with others. Paul Nowak has a Master’s in Game Design and has designed games for Warner Brothers, Disney Interactive and the US Olympic team. Michael Merriam has degrees in Archaeology and Comparative Literature from Columbia University and excels in any challenge dealing with history, geography, or ancient civilizations. Together they’ve developed a taste for escaping and writing about their escapes. It was founded on December 18, 2012 by Adam Shypanski as a club for all geeks and all their interests; and it has grown rapidly, becoming a permanent presence at the Supanova Expo and holding events like Board Games and Burgers. And, sure enough, some geeks like escape games so there’s a niche for those in this club. TDM and his occasional partner Mr Carrot go around trying to escape escape rooms and write about their experiences. They award their favourite rooms with a ‘Golden Disco Ball of Awesome Escapiness’. He’s an escape room fan who reviews rooms he’s visited on Instagram. Bubbletease, Doctor What, Escapegoat and Flavescape are 4 escape room aficionados who, between them, have done escape rooms in Calgary, Edmonton, Toronto, Vancouver, Winnipeg, Hong Kong and Las Vegas. Kayto, Victor and Maria Jose, Dani and Vane are the five elements. Ekaterina Polenyaka is the owner of the website. It’s a guide to escape rooms in the Los Angeles Metropolitan Area. Randy Hum started the website in April 2017 to share his passion for escape rooms with others and grow the escape room community. He has since gathered a team around him. Sometimes the team goes on city-wide escape room crawls. Cheech, Jing, Joshua and Ming are 4 friends from Malaysia, each of who brings their set of skills – whether it’s dexterity at visual puzzles, math skills, climbing or just leading – to this escape room team. Pá is a journalist, polyglot and bookworm; good with puzzles based on logic, anagrams and patterns. Trapspringer is a history nerd, a memorious person and rather good at uncovering hidden stuff. Together they go around sampling escape rooms and other related activities around Australia sometimes even abroad. Our escape room dynamic duo are Alastair (a software engineer, maker and tinkerer) and Ruth Ellison (a design researcher, user experience designer and maker of science and geek themed jewellery and accessories). They went on their first escape room sojourn in 2015 and haven’t looked back since. This website was founded by Mike van Hoenselaar. Mike first tried an escape room in 2014 and has been hooked ever since. Pim’s a web developer. Nathalie’s a teacher. They first visited an escape room in January 2016 – and that ‘sealed the deal’. They’ve been doing escapes ever since. And what goes with trying out every new escape room you can find? Sharing your experience with fellow escapers and helping them choose which rooms they want to try out. Thus was born escapetalk, a community of escapers catering to the European nations of the Netherlands, Belgium and Luxembourg, and with the occasional foray into other cities like Berlin, Budapest and Rome. Reviews of 973 escape rooms in 494 locations across The Netherlands, Belgium & Luxembourg. The website is mainly in Dutch. However most parts have an English version too. If the English version is not available, they provide a Google Translate plugin. Each room is reviewed by multiple escapers so you get a good all-round idea of each room. Very granular information about every escape room is provided, including theme, escape rate and so on. Each room is rated on ambience, puzzles and service. An average rating of each room is also available. Other relevant information like minimum and maximum number of players, facilities like car parking etc are available for each room. A link to the website of the escape room is provided, so you can book rooms easily. A weekly news section covering new openings, offers, vacancies and so on. An articles section featuring beta tests, interviews and accounts of escape rooms the members tried out while travelling. On escapetalk, you can register as a single person or as a team. As far as we know, this team registration feature is unique to escapetalk. Forum to discuss escape rooms and related topics. Across Europe including the cities of Alkmaar, Amsterdam, Antwerpen, Breda, Brussel, Bunschoten, Delft, Den Bosch, Den Haag, Deventer, Dordrecht, Eindhoven, Enschede, Gent, Groningen, Maastricht, Nijmegen, Rotterdam, Tilburg, Uden, Utrecht and Zwolle. Many escape rooms display their escapetalk rankings prominently like here. First of all, many many thanks for including us in your list of must follow blogs for 2018. Do you think there is something missing in our website? Or something that we could do better? Now our personal count today is 474 rooms. We participated at the TERPECA project two or three months ago. We have played in spain, mostly barcelona, and valencia, madrid, basque region, cantabria, seville etc. And including Spain, in 11 different countries: czech republic, austria, hungary, andorra, netherlands, germany, malta, united states, france, and (just one) UK. Again, thank you for including us. That’s amazing. Thank you for giving us more updated details about your project. We are sure to add this in our pipeline and update you as soon as it’s live on the website. Have a great day! Hi, This is a great list of bloggers. Thank you so much for putting this together. Yours sincerely Jewell. You should have included the SEO ORB Blog as well on this list. It’s a great resource for owners.